“I’m starting to think that many of the so-called ‘Republican establishment’ – of course they say there is no such thing, 'we don’t exist,' but we know they do. I believe that many of them would prefer to have Hillary in there, than to have Donald Trump. Because she is part of the political establishment and can be controlled, whereas Donald Trump cannot be controlled. Many Trump supporters, many of whom admit that they are new to politics, make the mistake of lumping us Conservatives in with the "establishment" because they simply don't understand the difference between the two. I believe that poor Ben Carson may be one of those who makes this same mistake because he simply doesn't understand the difference. As someone who has labelled myself a member of the #NeverTrump camp, the uber-ignorant "oh, you must be voting for Hillary" retort is the one I hear most often from Trump supporters. It's pure idiocy on its face. Every single time I hear it I know for a FACT that I'm dealing with a "newbie" to politics. In his appearance on Hannity last night, poor Ben Carson proves my point that it is only a real political AMATEUR that would believe that someone who will not vote for Trump would vote for Hillary. It's such a juvenile suggestion. It's also a suggestion that can only be made by someone who doesn't have the first clue about what a Conservative is, what the TEA Party was (or is?) about, or even what "the establishment" is. Conservatives: The few members of Congress who keep their promises to their constituents, govern with the concerns of those who elected them first and foremost in their mind, and believe that LESS government is the solution to most problems. Libertarians also fall into this category, however, they have much, much less of a focus on "social issues" than many Conservatives typically do. (Very few members of the House and Senate are TRUE Conservatives or Libertarians. He's a lying Progressive and he's been a member of the political establishment for his entire life. There is nothing that suggests that he'll be any different from any of the establishment politicians he's been bribing for the past 40 years. 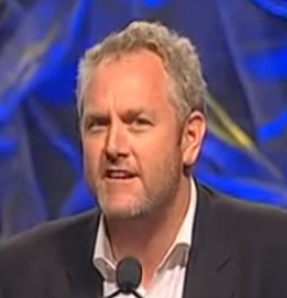 Those of us who are "Andrew Breitbart-inspired citizen journalists" that have been active in the TEA Party movement since April 15th of 2009 are sick & tired of politicians who LIE to us to get into office. They tell you one thing while they're campaigning and then, once elected, they turn and join the establishment and vote WITH everything they TOLD US they were AGAINST while they were campaigning. This is what Trump is doing (we know this by looking at his past 40 years of being in the public eye). Worse yet, Trump doesn't even KNOW what the hell it is that he supposedly "believes." It's only those who have not been paying as close attention as us that would believe that someone on the right who is AGAINST Trump would be FOR Hillary. Those that make the suggestion are not only an insult to us personally, but they're also an insult to and a DANGER to the future of the country. There's ONE candidate in this race that has KEPT his promises to his constituents and performed the way he promised them he would.....Ted Cruz. But, all of the political retards that the Trump circus has brought into politics this cycle are too damn ignorant to understand ANYTHING that I've just said. Which is WHY all they have to come back at those of us who are against Trump is "Oh, you must be voting for Hillary?" It's a damn shame. It's like the last several years worth of work done on behalf of the ideals of the TEA Party was done for NOTHING because of ALL of the "new" people (read: ignorant) that Trump has brought into this campaign cycle. And, they have the nerve to call those of us who've been busting our asses (for NO MONEY, mind you) for the past several years "ignorant" or a "liberal" or a "Hillary voter." Kiss mine. Poor Ben Carson is correct in saying that "the establishment doesn't want somebody that they can't control." But, he's wrong if he thinks that a person who has willingly participated in crony capitalism with the entrenched political class for the past 40 years is going to be the person to put a stop to that behavior. After all, as Trump says, "It's how business gets done." Trump: "Establishment wants to join our campaign"